If you’ve never heard of Algorfa, you’re not alone. 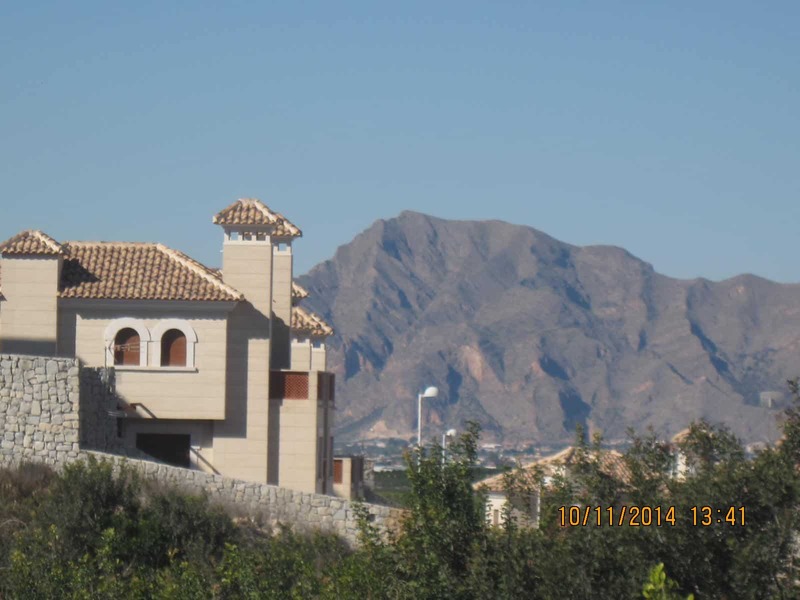 When we viewed and fell in love with our home on the La Finca Golf Urbanisation, neither had we, and nor have people living just 10 miles away in Torrevieja. When we went back to England to tell people about our new home, we described Algorfa as ‘Near Torrevieja.’ Seven years down the line, I can say it’s not near Torrevieja at all, except in the geographical sense. As far as I’m concerned, it’s streets ahead! Algorfa is a little pueblo with a great big heart. With a population of just 3,000, it’s a place to go for peace, tranquillity, connecting with nature and enjoying good food. Except for fiesta days of course – then prepare to party until dawn or be kept awake anyway. 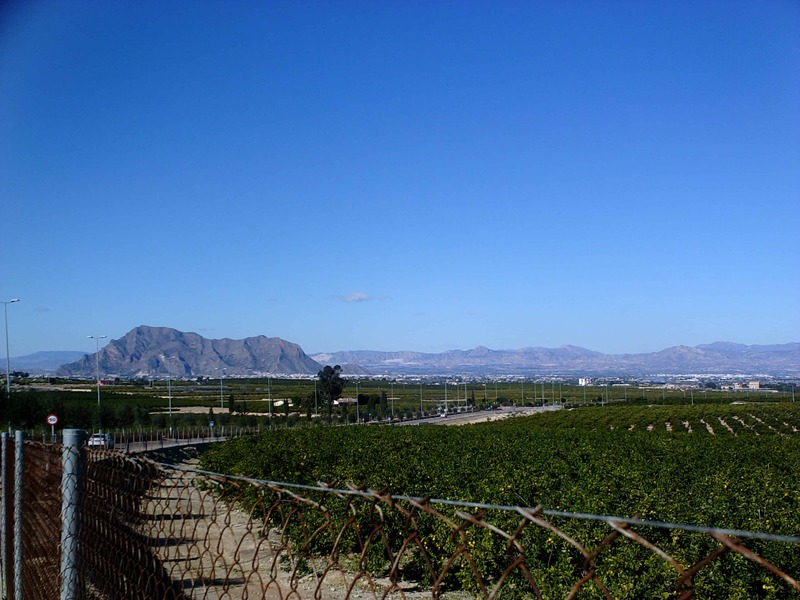 Algorfa nestles in the valley of the Sierra de Callosa mountains. As they go, it’s a small range, with the highest peak being 572 metres high. Mount Escotera is the highest peak visible from Algorfa, and it dominates the landscape for miles around. From certain angles, you can see La Ermita, a beautiful neo-gothic chapel built in 1901 by the Marquis of Algorfa from local quarry stone. It appears to be tucked into the foot of Mount Escotera, although the mountain is about 20 miles away. If you’re feeling energetic, try one of the mountain walks while you’re here. For something less challenging but equally enjoyable, walk to Algorfa along the new road through the orange groves from La Finca. Get close to nature as you smell the orange blossom in May, pick a juicy Valencian orange from the unfenced groves from November to March, watch the hares box and the lizards bask in the sun, to the background music of birdsong or the Algorfa Roar. That’s the cacophony set up by the bees buzzing around the orange blossom, and it has to be heard to be believed. Algorfa boasts one of the best golf courses in the area – La Finca, and if you love a touch of luxury, you can stay in the 5 star La Finca Hotel. For those with more modest tastes, short or long term rental accommodation is available from as little as €150 per week. If you want to ‘try before you buy,’ rent an apartment on La Finca, Montemar or in the heart of Algorfa for around €250 per calendar month plus bills. 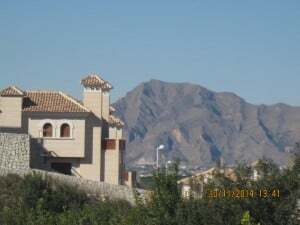 Property in Algorfa and the surrounding villages is competitively priced, and at the time of writing (February 2015) the Euro is at 1.35 against Sterling, so you’ll get a lot of casa for your money. 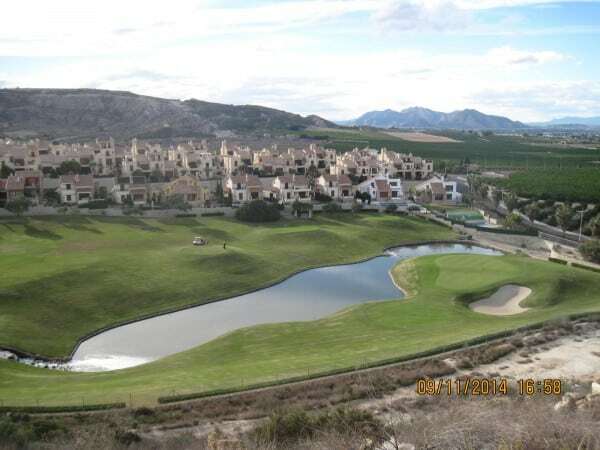 If you want to really integrate into Spanish life – and Algorfa is a great place to do that – consider buying on one of the Fontana apartment complexes. There are plenty of bargains to be had, too. Apartments are available from as little as €30,000, with average prices around the €55,000 mark. That’s roughly £22,175 – £40,600, so buying a property in Algorfa is a sound investment, as well as a great lifestyle choice. One drawback with Algorfa is the public transport system. There isn’t one, and although taxis are reasonably cheap, it’s not a viable long term solution, so you’ll need a car to get around. If you spend lots of time here, why not invest in a cheap used car to leave here. You can pick one up for €3,000, and you’ll save on car rentals. We participate in a reciprocal arrangement with friends for the airport runs, and it works well. One of the best things about living in Algorfa is the eating out experience. For a small village, it has an astonishing array of eateries to suit all budgets and tastes. Our favourite is Restaurante Alquibla, a typical ‘Abuelo’ restaurant, where the same family have been feeding the locals for as long as anyone can remember. And at €9 – €15 for four courses with wine, it won’t break the bank. For the best tapas in the area, visit Bar Badulake, next to the Ayuntamiento in the Plaza Espana. If Indian food is on your list, Spice City on La Finca is the place to go. Ask about the Meal Deals for the best value. La Cosecha on the Algorfa – Benijofar road is another great place to enjoy typical Mediterranean food in a beautiful setting, and there’s entertainment at weekends. The best thing about living in Algorfa is the strong sense of community. 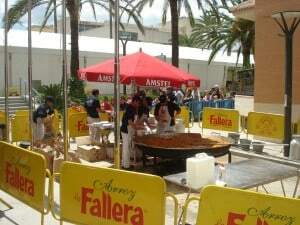 The locals get together on a regular basis to party and share the best of Spanish and international food and drink. There’s the Gastronomy Fair, the Spring Festival, the Summer Fiesta and the Patron Saint Vincente Ferrer’s Fiesta, on or around April 5, when a giant paella is cooked in the street for everyone to share. And for ladies in business, or even ladies who just want to make the most of their time in Spain and forge new friendships, why not join Costa Women? It’s free, and it opens the door to lots of fun activities. There are a number of members in Algorfa who are active members of the new Costa Women Costa Blanca South Group, and once a month, everyone meets at the Casino in Torrevieja to chat, enjoy listening to interesting speakers, and make plans for future business and social events. 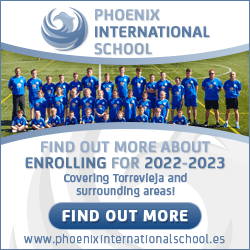 The meetings are from 2.00 – 4.00pm on the last Wednesday of each month. There’s more information here. Hope to see you there soon! You can find out lots more about Algorfa and what’s going on in the village in Mailpoint on Avenida Maria del Mar Rodriguez, or check out Jennifer Massey’s brilliant site. As I said, Algorfa is a little pueblo with a great big heart, and there’s more going on there than you might realise. Sandra Piddock is a freelance writer and blogger who specialises in writing about life in Spain – often with a humorous slant. Find out more about Sandra and Algorfa at her website, SandraInSpain.com.